Zuri brings to you 10 amazing homemade natural beauty products for a glowing skin, supple lips, shining hair and a beautiful looking you! DIY is taking the beauty world by storm. Whether you are trying to achieve the perfect look without having to spend a bomb or you simply love creating things, every girl nurses a secret passion for DIY. This summer, why not let it bloom? We have brought you the hottest DIY products to try! 1. 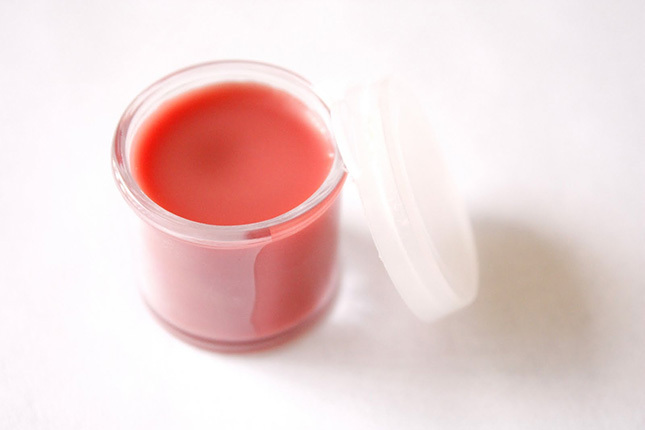 Lip balm: It may seem complicated, but it really isn’t. Just mix 2 tablespoons of beeswax, 2 tablespoons of shea butter and enough coconut oil to get the consistency you are looking for. Add a 2-3 drops of Vanilla flavored essential oil to get that perfect vanilla lip balm effect. 2. Lip scrub: One of the simplest techniques is to have half a bowl of brown sugar with 2 tablespoons of coconut oil. Mix the two and add a few drops of honey as well as an essential oil of your choice. Feel free to use white sugar and olive oil if you want, DIY is all about personal choices. 3. 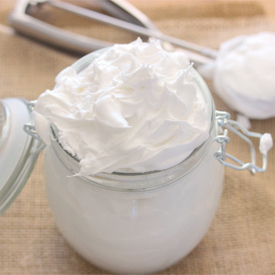 Shaving cream: For that extra dose of moisture that your skin needs while shaving make your own shaving cream. Heat coconut oil and shea butter, wait till they melt. Add a little sweet almond oil and mix before taking it off the stove and popping it into the fridge. Once solid, take it out and whip it to lovely creaminess with the help of some liquid castile soap. 4. 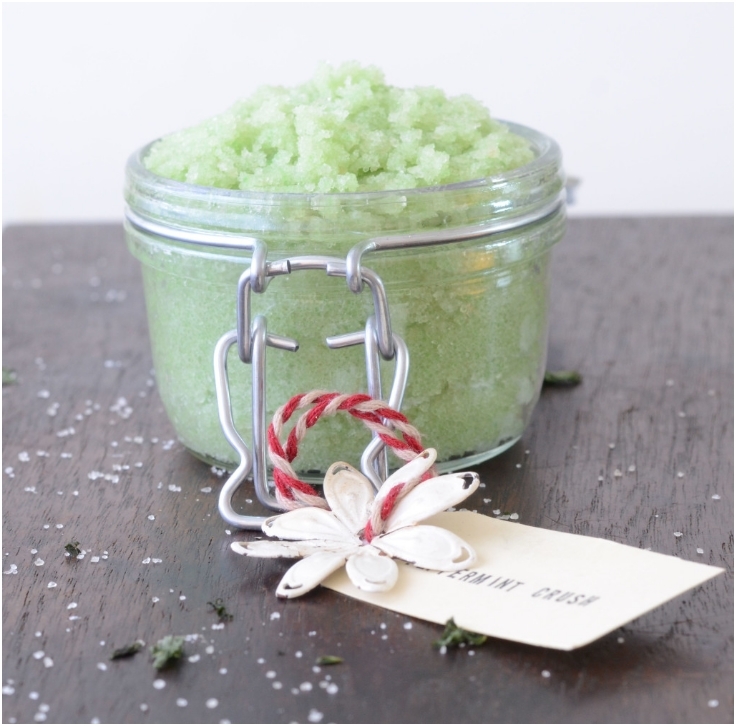 Foot scrub: Mix a cup of white solid sugar with half a cup of coconut oil and peppermint essential oil. Mix it up and add a few drops of honey to complete the effect. 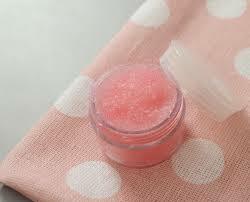 This is different from lip scrubs because with feet you can afford to use a rougher base- like sea salt, for example. In case peppermint essential oil is not handy, use some mouthwash instead! 5. Body oil: Simply mix olive or almond oil with a spoonful of Vitamin E and a few drops of the essential oil of your choice. Mix it up and apply it before your bath for gloriously moisturized skin without any residue. 6. Shampoo: A lot of the hair problems that women face today can be traced back to exposure to harmful chemicals found in shampoos. 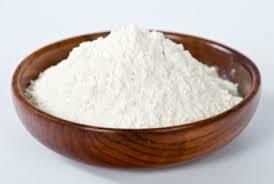 The easiest way to avoid that is to wash your hair with baking soda mixed with water. Try to achieve the consistency of liquefied yogurt instead of your traditional shampoo, apply it to your scalp and wash it off with warm water. 7. 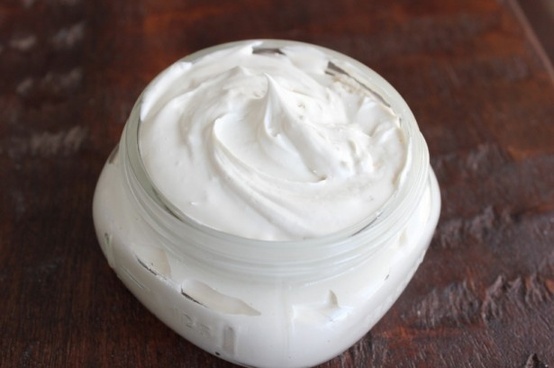 Body butter: Melt down coconut oil and shea butter till they become one homogeneous solution. Take them off the heat, cool them down in the fridge and whip them up when they are almost solid. Add any flavors and essential oils at this stage if required. 8. 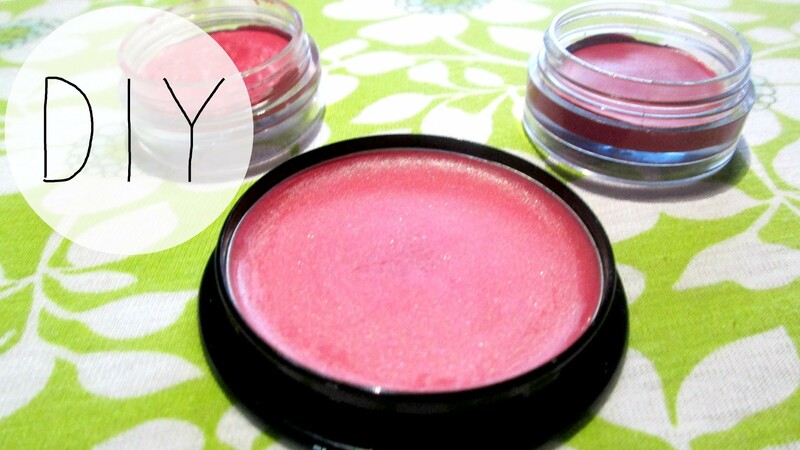 Blush: From using left over eyeshadow or lipstick or creating blush from scratch using all-natural ingredients such as beet powder and nutmeg there are a lot of ways you can choose to go in the pocket friendly direction and make your own blush. 9. 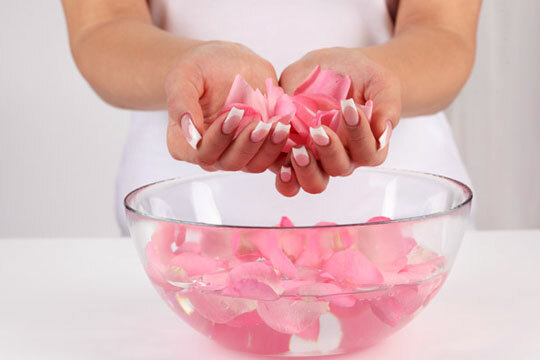 Toner: Gulab jal (Rose water) is an important part of your beauty regime when it comes to natural face packs. Use it to swap with your toner as well. Just ensure it’s chilled so that your pores get all the tender loving care they need. 10. Face Powder: Yes, you heard right. 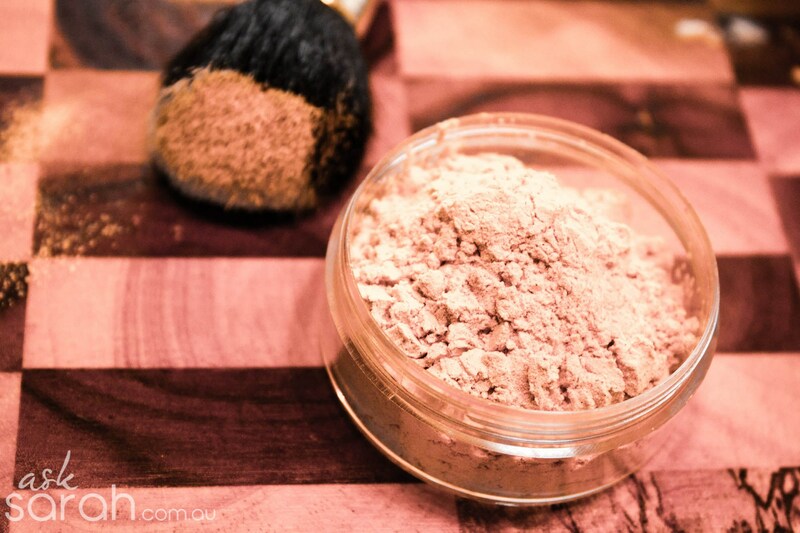 A combination of cocoa powder, nutmeg, ginger and essential oils is enough to make the perfect tone and consistency for loose face powder. The best part is, you don’t have to rely on brands to choose your skin tone for you, you can alter it according to what you think suits you the best. Start off small. Do lip scrubs and foot scrubs before you decide to go after the big guns, so that you build confidence on the way. DIY is all about practice, so don’t lose heart if it doesn’t look the way it’s supposed to in the pictures! Just do it one more time. And then again, if need be.